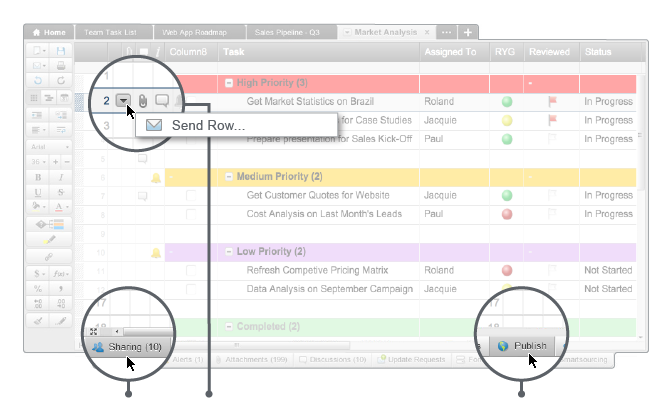 Smartsheet makes it easy. Invite people anywhere to collaborate on your entire project by sharing the sheet with them, or simply send them a row with all attachments to get updates. Imagine having all notes, discussions, files, and information in one centralized location accessible across any browser, device, and operating system. The result is real-time collaboration that streamlines communication, empowers teams, and drives efficiencies.